It's that time again! We're on our 5th round of monthly Pet Blooper photos. 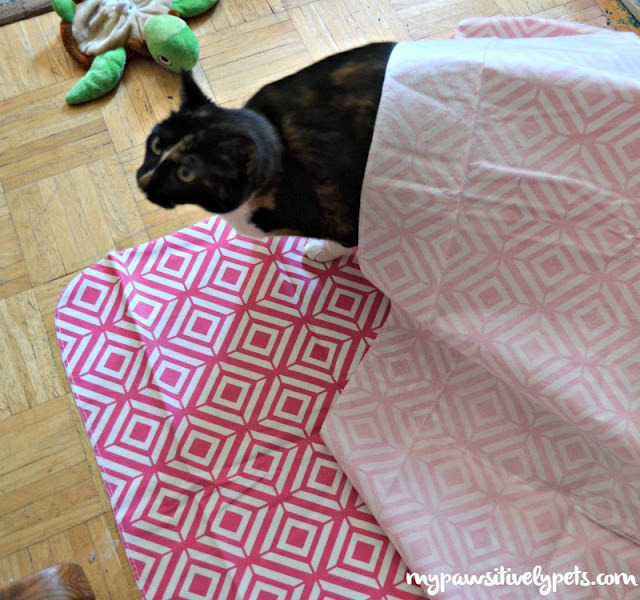 I take TONS of photos as a Pet Blogger, but most don't turn out that great. Just a few days ago, I was transferring photos from my old hard drive to a new computer and there were more than 14,000 photo files. 14,000! I can assure you, most of them were of animals. Callie is not too heavy, so she's easier to manage with a taped up backdrop. Apparently, I didn't have it taped up good enough and it came down on top of her. Photo shoot over! As for Shiner, she's been pretty good with photos lately. Her blooper is more my blooper than anything. I was trying to get a picture of her walking towards me, but she moved faster than I had anticipated. The result was an ugly background - the truck and trailer. Also, Shiner decided she would like to eat grass while walking at the same time. Snack and go! And that's all there is for this month. 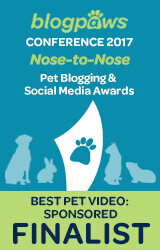 Stop by here again next month and I'm sure I'll have some more pet bloopers for you! 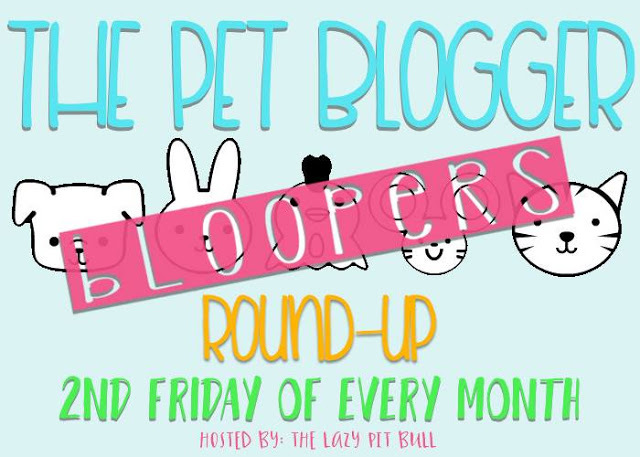 As always, thanks to The Lazy Pit Bull for hosting the Pet Blogger Blooper Round-Up. 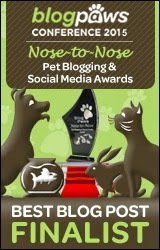 You can check out more Pet Blogger bloopers at other blogs below. My human needs some more backdrops for us! She has a coat rack she uses, and some heavy-duty clips to make the ones we already have stay put. So far, there have been no mishaps (although Binga likes to play behind them sometimes). I need to find a better method of clipping the backdrops up. I made a stand out of PVC pipe, but it doesn't fit in the house well. LOL! Oh, I have so many blooper photos it is ridiculous. Love Shiner's grab and go snack photo. Bloopers or not, still cute photos! 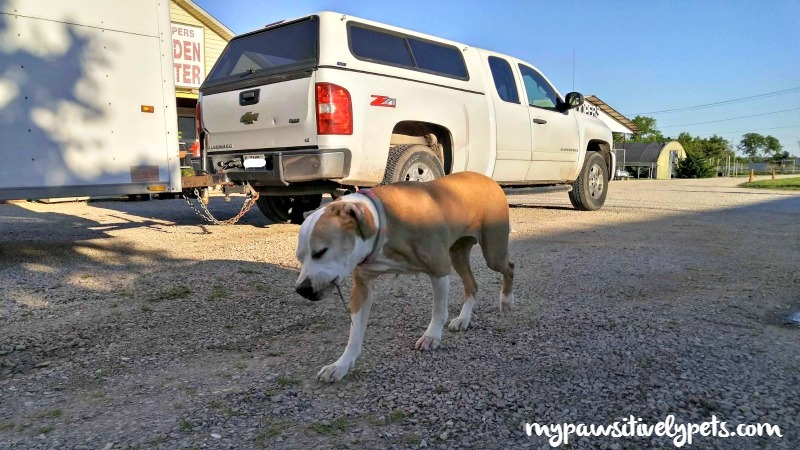 Shiner's photo kind of looks like a model who said I quit and is walking off the set! Humans think we can be purrfect all the time. Well, we can't...and that's why there's bloopers. We like yours! Callie looks a little surprised at the backdrop falling on her. Shiner is so funny! I am so bad about backdrops. I usually end up having to crop something out of my photo that I should have moved before taking any! Tablecloths are a good idea though, I might use that one! 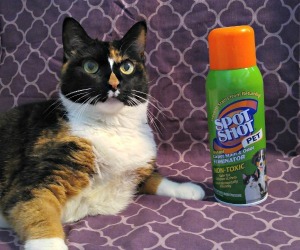 Callie does NOT look happy and neither would I if the backdrop landed on me. We don't use backdrops cos the moment I saw one, I'd be gone.